LYON, France – Interpol issued an internationally wanted persons Red Notice for a suspected ivory trafficker following the seizure of hundreds of pieces of elephant tusks in Thailand. 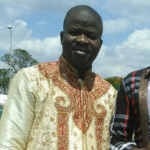 The Red Notice for Madi Conteh, a Gambian national, was published at the request of the Malawi authorities, where he is wanted on charges of ‘exporting government trophies without permit’. Conteh is suspected of concealing 330 kg of ivory pieces in a shipment falsely labeled as unprocessed gemstones sent from Malawi and seized in Bangkok in early March. 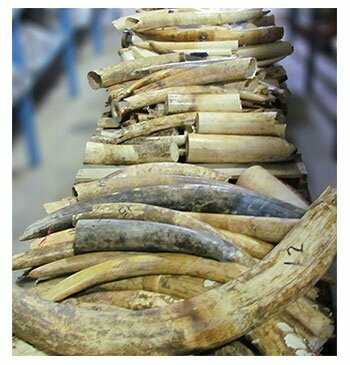 Due to heightened trafficking concerns following the recovery of illegal ivory in a similar shipment from Africa in 2016, customs authorities conducted additional checks of the cargo and discovered 442 pieces of ivory worth around USD 500,000 concealed in several containers. Another Gambian national was arrested in Bangkok when he attempted to pick up the shipment containing the trafficked ivory. The two are suspected to be part of an ivory trafficking ring involved in smuggling elephant tusks from Africa to Asia. Interpol’s Environmental Security unit is supporting the investigation through its Project Wisdom which assists member countries in combating the illegal trade in ivory and rhinoceros horn. A new Interpol initiative launched in January targets traffickers in Asia sourcing wildlife from Africa, by providing a strengthened law enforcement response in source, transit and destination countries, particularly those linked to the illicit trade in ivory, rhinoceros horn and Asian big cat products. A California pool cue maker has been charged in a smuggling case involving sticks with ivory inlays. Below is the release from the U.S. Department of Justice. LOS ANGELES – A North Hollywood man surrendered to U.S. Marshals this morning after an arrest warrant was issued on federal charges of aiding and abetting the illegal smuggling of protected elephant ivory. Cesar Ernesto Gutierrez, 75, was charged in a criminal complaint filed Wednesday in United States District Court with aiding and abetting the attempted illegal exportation from the United States to Taiwan of protected African elephant ivory. Police have nabbed a second person for alleged ivory smuggling in connection with an Interpol’s Infra Terra round-up. Feisal Ali was picked up in Tanzania just in time for the holidays. Released in October, Infra Terra is essentially Interpol’s most wanted list of wildlife criminals. Ali joined eight others wanted for logging, poaching, pollution and fishing violations. Ali’s arrest came weeks after another suspected ivory trader, Ben Simasiku, was arrested in Zambia. 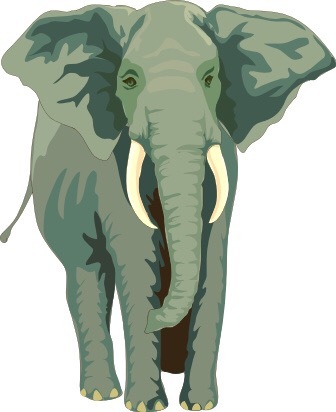 Simasiku, who was also on the Infra Terra list, had fled from Botswana in 2012 after he and three others were allegedly connected to 17 cut pieces of elephant tusks weighing approximately 115 kg. Others on the list include: Adriano Giacobone of Italy, Ahmed Kamran of Pakistan, Bhekumusa Mawillis Shiba of South Africa, Ariel Bustamante Sanchez of Mexico, Nicolaas Antonius Duindam of the Netherlands, Sergey Darminov of Russia and Sudiman Sunoto of Indonesia. LYON, France – A Kenyan national suspected of leading an international ivory smuggling syndicate has been arrested in Dar Es Salaam, Tanzania, after he was targeted by an INTERPOL operation focusing on individuals wanted for environmental crimes. 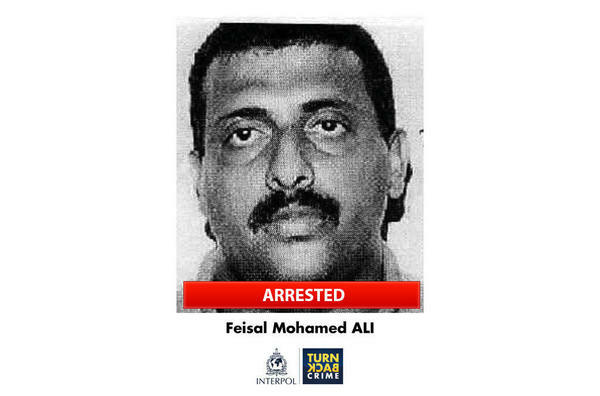 Feisal Ali was highlighted by INTERPOL’s Operation Infra Terra (International Fugitive Round Up and Arrest) and featured in a worldwide INTERPOL public appeal for information in November. He is the second high-profile suspect to be arrested as part of Operation Infra Terra after Ben Simasiku was arrested in Zambia earlier this month. Ali was the subject of an INTERPOL Red Notice for internationally wanted persons issued at the request of Kenyan authorities who suspect him of being behind an international ivory smuggling ring. In June authorities in Mombasa allegedly found him in possession of 314 pieces of ivory weighing more than 2.1 tonnes, including 228 complete elephant tusks. 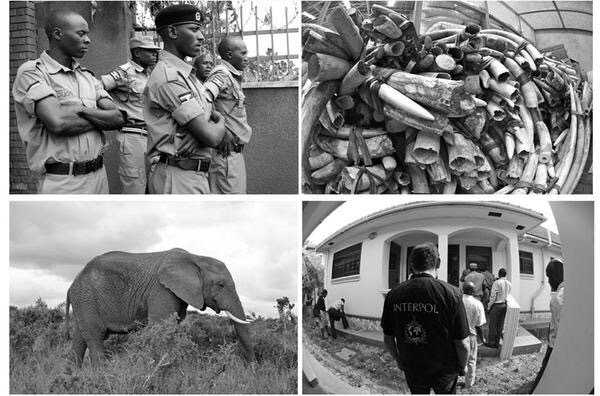 Launched on 6 October, INTERPOL’s Operation Infra Terra gathered investigators from 21 of the participating countries to directly share information on more than 130 suspects wanted by 36 countries for crimes including illegal fishing, wildlife trafficking, illegal trade and disposal of waste, illegal logging and trading in illicit ivory. During the operation, with the support of INTERPOL’s Fugitive Investigative Support (FIS) unit, investigators from Kenya and Tanzania exchanged information on Ali and his suspected location in Dar Es Salaam, via INTERPOL’s global tools, its National Central Bureaus (NCBs) in Dar Es Salaam and Nairobi as well as the Kenya Wildlife Service. Feisal Ali now awaits repatriation to Kenya to stand trial for the offences he is charged with. 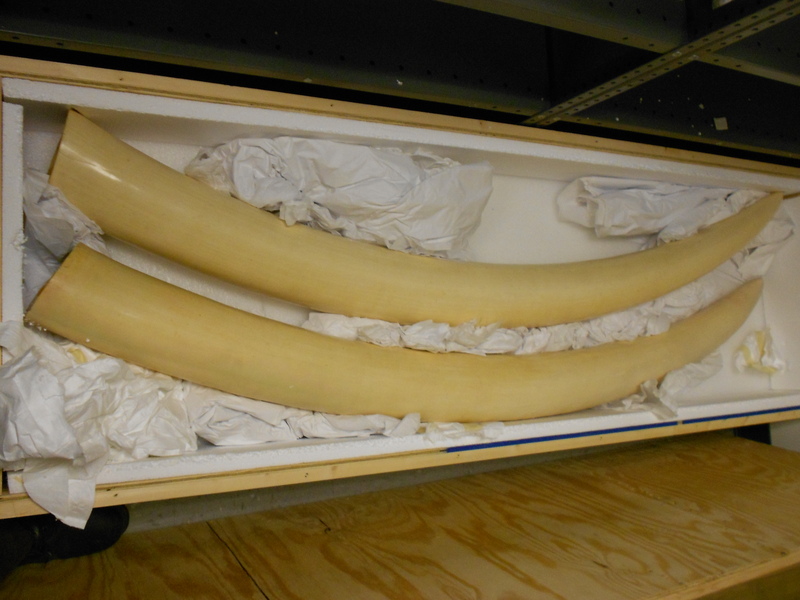 Photos of elephant tusks weighing 105 pounds bound for Hong Kong, from Li&apos;s email. Photo courtesy USFWS. Today, the U.S. government announced it will clamp down on the ivory trade, effectively halting commercial sales in response to global poaching concerns. The ban will impose new restrictions on the import, export, and commercial sale of elephant ivory within the United States, with some limited exceptions. 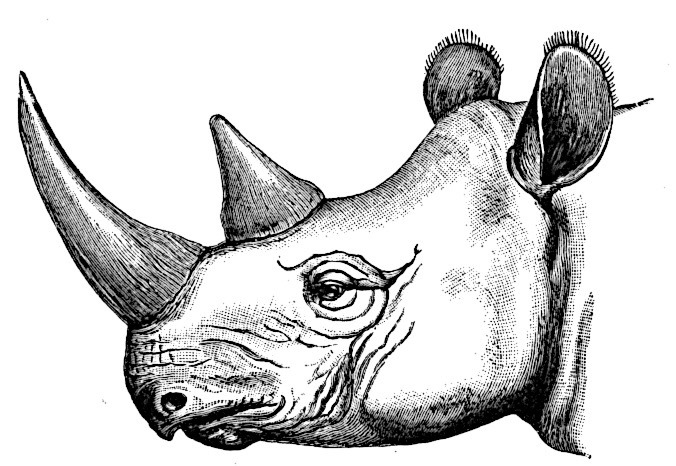 The limited exceptions include a narrow class of antiques that are exempt from regulation under the Endangered Species Act; and items imported for commercial purposes before international commercial trade in these species was prohibited under the Convention on International Trade in Endangered Species of Wild Fauna and Flora. Anyone proposing to sell elephant ivory or rhino horn would be responsible to document that they are exempt. The Service expects this to be a small fraction of the current domestic trade. Anyone who currently owns legally obtained ivory may keep it. Today, the government will smash tons of ivory that agents seized in trafficking operations over decades. Dubbed “Ivory Crush,” the U.S. Fish and Wildlife Service operation is designed to send a message that the United States won’t tolerate poaching and the illegal tusk trade. Although the Philippines, Kenya and Gabon have destroyed contraband ivory in those countries, this will be the first time the United States has destroyed large quantities. 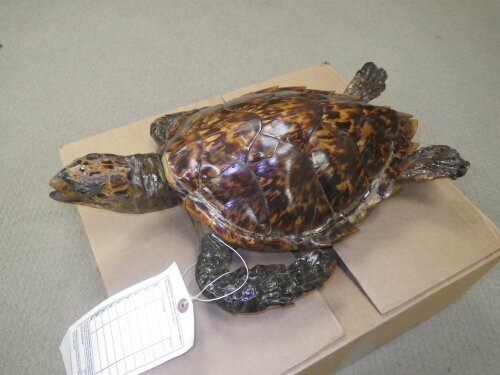 “As a matter of principle and policy, the Service does not sell confiscated wildlife derived from endangered and threatened species,” Service officials said in a prepared release. About 6 tons of tusks and carved ivory from African and Asian elephants that was seized since the 1980s is set for destruction. The service will keep some ivory for educational and training purposes. The process involves crushing he confiscated ivory into pieces that are too small to be of commercial value. Below is a video from the U.S. Fish and Wildlife Service about Operation Crush. The U.S. Fish and Wildlife Service is taking its show on the road. In an eduational move, the serivce’s director, Dan Ashe, appeared on PBS’s Antiques Roadshow Monday, April 15, to talk horns. The service’s wildlife-cop role has been heavily involved in cracking down on illicit rhino horn trafficking, and Ashe talked about how the subject pops up in the antiques trade with the show’s host Mark Walberg and appraiser Lark Mason (no, I didn’t catch the episode, but I’ll look it up through internet reruns). 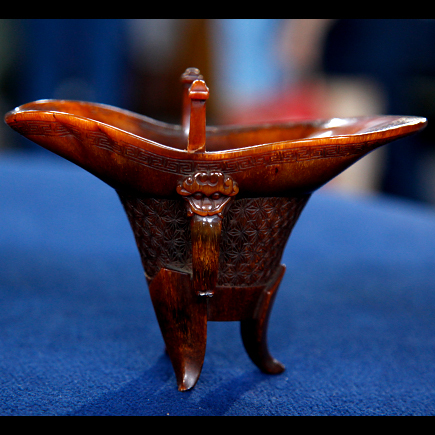 The Service-Antiques Roadshow partnership began after appraiser Lark Mason evaluated five rhino horn libation cups for a 2012 episode. 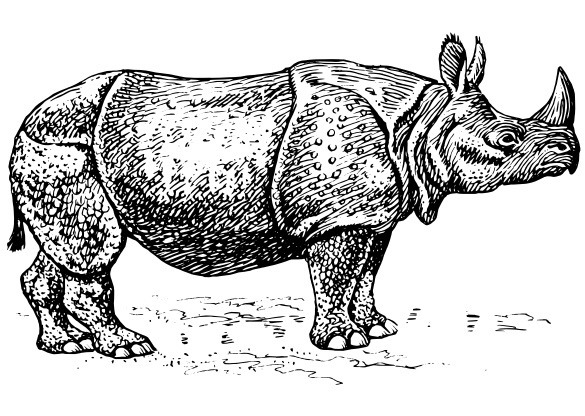 While the value estimated topped all previous records for the series, the appraiser advised the owner that rhinos are a protected species and there are laws that affect the buying and selling of rhino parts and products. Ashe’s segment was taped in July at the Cincinnati Zoo when Fish and Wildlife officials provided training to Antiques Roadshow appraisers, covering collectibles made of elephant ivory, rhino horn and sea turtle shell. Similar training will be offered this summer when the program takes its show to Baton Rouge, La. (to be aired in 2014, for those who plan their TV viewing schedule a year in advance). Rhino horn is coveted in Asia for its alleged medicinal properties, and poaching is on the rise in Africa. South African authorities reported that some 668 rhinos were killed in that country in 2012.